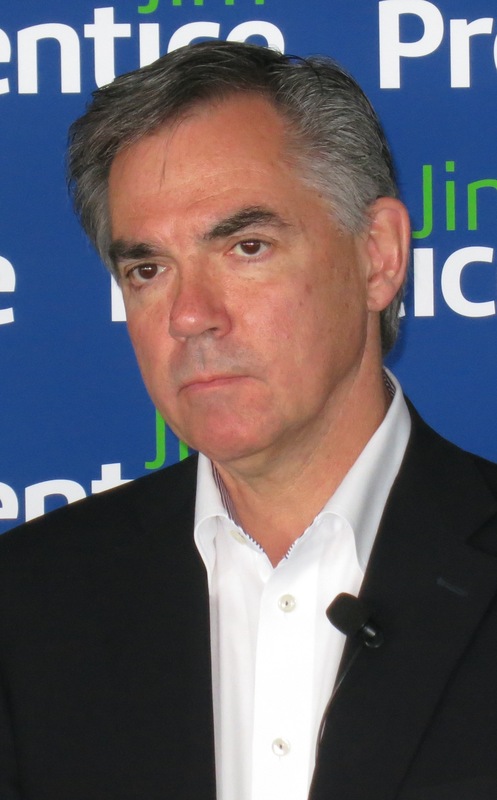 Home / Alberta Politics / That early election: what if Premier Jim Prentice doesn’t do what everyone expects? PHOTOS: Politics is a high-stakes poker game. 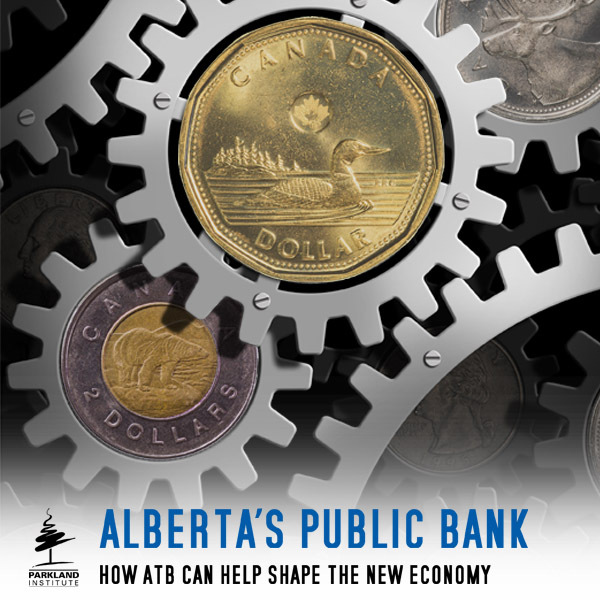 So, is Alberta Premier Jim Prentice, at right, still peeking at his cards, or just sleeping? Actual Alberta politicians may not appear exactly as illustrated. 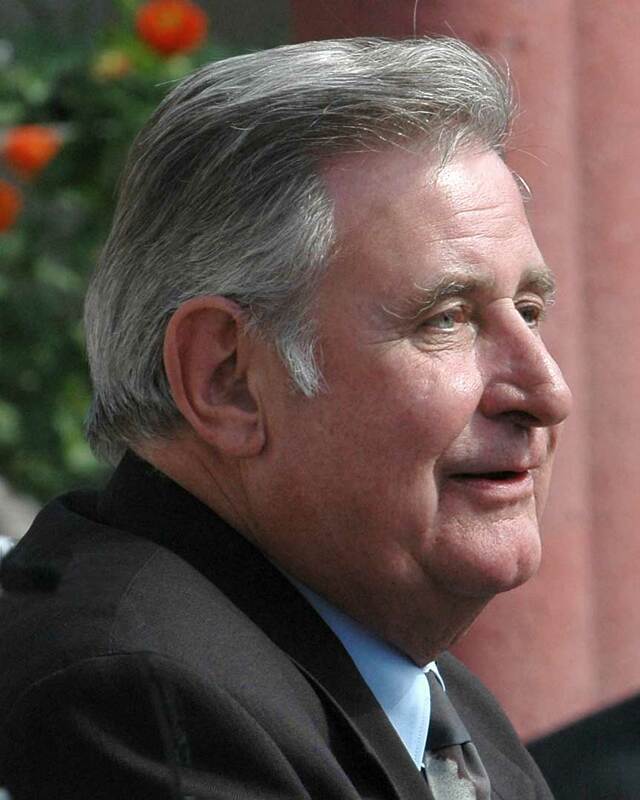 Below: A poker-faced real Mr. Prentice and former premier Ralph Klein. Alberta’s Legislature resumes sitting today, and the widespread expectation is that the Progressive Conservative majority will deal peremptorily with a few pieces of Legislation, mostly insignificant, pass a budget that will be introduced on March 26, and move quickly to an early election. That is, as they say, the conventional wisdom. But what if Premier Jim Prentice doesn’t do what everyone expects? A few things have happened since the early-election buzz began weeks ago that might tempt Mr. Prentice to gracefully do as the Opposition demands and hold off for year or so until the “fixed election period” in cashiered premier Alison Redford’s silly voting legislation swings around in the spring of 2016. For one thing, you just never know what a government is seeing when it looks at its own confidential public opinion polls. A better-than-expected performance by the NDP? Or worse from the government’s point of view, a better-than-expected performance by what’s left of the Wildrose Party thanks to their cantankerous rural power base still fuming about former leader Danielle Smith’s defection last December? Regardless, I would bet you there are auguries the electorate is still more volatile than is traditional in Alberta and could turn quickly on Mr. Prentice as they turned on Ms. Redford if the planets lined up in just the wrong way from the government’s perspective. If nothing else, the harsh and nearly instant public reaction to the premier’s look-in-the-mirror moment on the radio last Wednesday should give him pause for reflection. Then there’s the difficult matter of how to deal satisfactorily with Bill 10 – which requires the government to find common ground between backers of the private member’s bill it sidelined, which would have forced all publicly supported schools to allow gay-straight support groups for sexual minority children, and the government’s own considerable cohort of assertive social conservatives, who just hate that idea. Not handled in exactly the right way – and there may be no such way – Bill 10 could also blow up in the government’s hands in the sensitive pre-election period. And there’s the need for the government to persuade more voters that the economic crisis really is grave enough to justify whatever it is that Mr. Prentice wants to do. Why do that if you can just wait? With a little time, there’s always the chance things will start to perk up on the economic front. Such developments could all provide arguments within the private counsels of the PC Party to think twice about hurrying into an early election – no matter what’s been said up to now. Either way, it’s a high-stakes poker game. But if Mr. Prentice did decide to wait, well, whatever would the Opposition do then? I’m not saying this is what Mr. Prentice is going to do – but he wouldn’t be doing his job if he weren’t thinking about it. And there’s certainly nothing like a little surprise to keep your foes off balance. Speaking of which, who expected Mr. Prentice to say yes to a meeting with the leaders of the province’s principal public sector unions, as he did late yesterday? 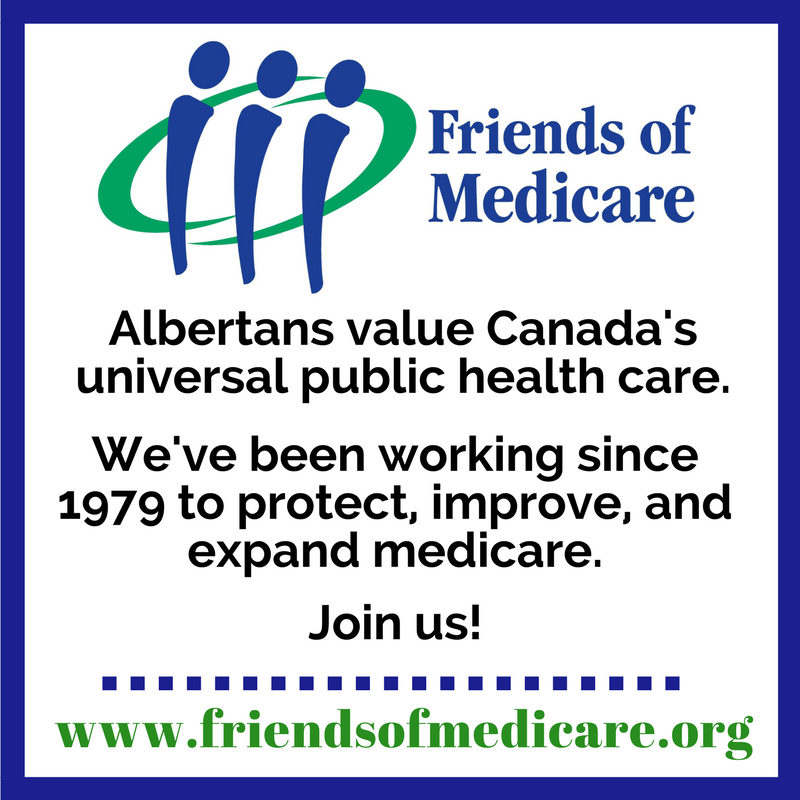 On Friday, the presidents of Alberta’s four large public service unions representing health care workers, civil servants and others requested a meeting with the premier to discuss his idea of setting up a regime for public sector bargaining that would make it easier for the government to keep a lid on wage increases in the public sector. Mr. Prentice has been under a certain amount of pressure from the right to “be like Ralph” – a reference to the late Ralph Klein’s successful campaign as premier in the mid-1990s to pressure public sector employees into agreeing to take 5-per-cent across-the-board wage cuts. It’s early days yet, but I suspect Mr. Prentice has found this idea harder going than he imagined. For one thing, unlike the 1990s, the courts are no longer playing ball. Recent Supreme Court of Canada decisions have made it much harder for the government to arbitrarily throw out union contracts or prevent public employees from striking. For another, Mr. Klein made it difficult for anyone else to use that strategy again when his government didn’t keep the promises it made to the same unions, led now in many cases by people who were around then and have fully functioning memories. The unions were promised by Mr. Klein that if they took the rollbacks he wanted, they’d avoid layoffs and facility closings. They took the rollback deal to save jobs. Then they got layoffs and closings anyway. Now Mr. Prentice and his government must suffer the consequences of Mr. Klein’s broken promises – since public sector union leaders find it much more difficult to trust any PC premier, thanks to Ralph’s bad example. Under such circumstances, it would have been easy for Mr. Prentice to tell the unions to drop dead and refuse to meet, then gin up a confrontation to justify a polarizing election. Or just try to fob them off on a couple of flunkies. This is smart. Smarter than I expected Mr. Prentice’s advisors would let him be. It puts him in a better position than he was in last week. It’s exactly what I would have done if I were wearing the premier’s cordovan deck shoes – so this is high praise! It might also be smart for him to put off the election now that everyone has concluded it’s bound to be very soon. Could those Wildrose supporters who are still grumpy about the December counter-coup executed by the premier and Ms. Smith stay mad for more than a year? Or would they drift back to their comfortable old political home? It’s a question worth asking. And it’s a question I’d bet you the sometimes-unpredictable Jim Prentice is thinking about right now. 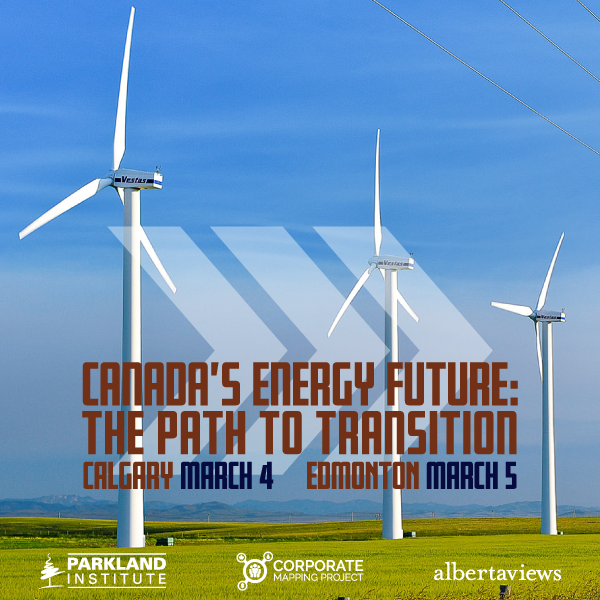 3 Comments	to: That early election: what if Premier Jim Prentice doesn’t do what everyone expects? “Be like Ralph” Really? Mary Walsh, as Marg Delahuntey described Ralph in February, 1998 as “you’ve got a temper and a bit of a reputation as a bully for sucking up and kicking down.” By this measure, Prentice is well on his way to pleasing the nostalgic right by shredding the public interest once again. I did not know about the Klein double-cross you mention, but by then I had already left Alberta. I have family in the health care sector, so I was kept abreast of the horrible working conditions that resulted, particularly for nurses. But of course one would not expect such context to work with the fellow-travellers who write letters to such upstanding publications like the Edmonton Sun (you know, the ‘Ralph should be canonized’ crowd). Btw, Dave, where did you get that great photo? I was convinced in was Jim Prentice in the pic until I read your blurb underneath. Thanks David. That’s a wonderfully cynical conjecture.